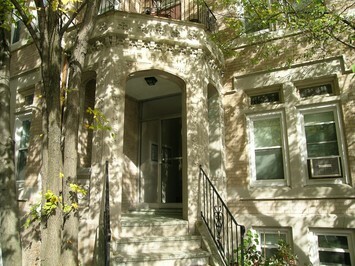 Elegant oversized 3 bedroom condo with bay-window alcove and stained glass windows. The unit features: new windows, crown molding, freshly painted, gleaming hardwood floors, a study, eat in kitchen with walk-in pantry. The high ceilings & over sized windows fill the condo with light. Laundry in building & extra storage available.